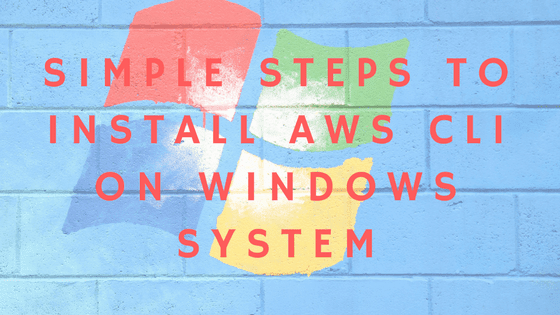 AWS CLI provides a Windows installer package along with all the dependencies on windows system. On above URL you will find two installer one is for windows 64 bit and other one is 32 bit. Lets download and install setup by few clicks on your system. Once you done with installation verify it by using below CLI command. Type cmd in windows search tab and press enter, it will open windows command prompt. Here as you can see aws-cli version is 1.14.24 and aws cli is depends on Python runtime version 2.7.9 and also installed botocore is a low level interface and serve as foundation for aws cli command line utility. 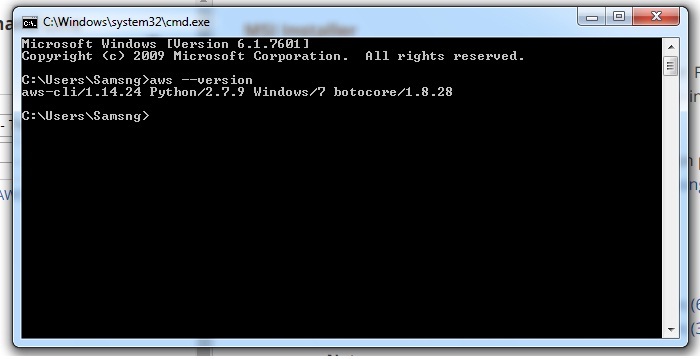 So we can say aws cli is based on Python programming language. Please note version can be changed depending on latest version released. 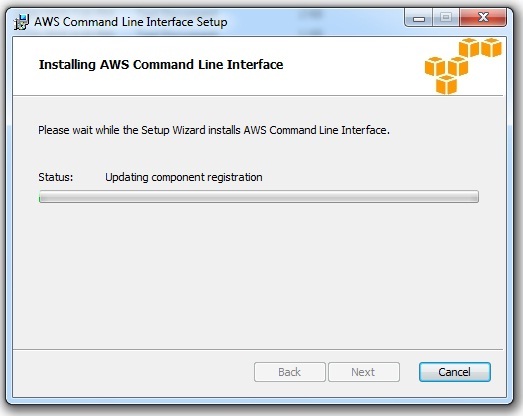 If you will see above aws version information that means it installed successfully on Windows system.